Contains a powerful germicide that kills germs on baby wears (e.g. bibs and cloth napkins). Combines highly effective ENZYMES that remove stubborn stains. The anti-depository agent also prevents re-deposition of removed dirts, for more superb cleaning action. Cleans effectively and gentle on fabric (e.g. baby wear/napkins). Imparts smooth feel to the fabric. 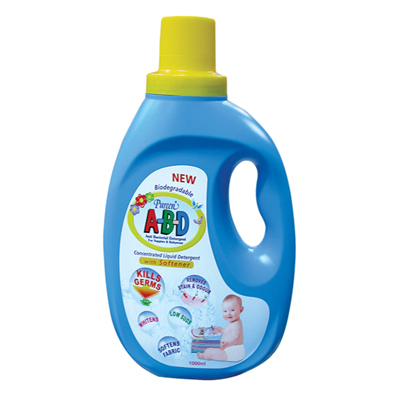 This low suds formulation is easy to rinse and prevents overflow in washing machines.